The Motus Comp SS is designed to perform on long mountain runs in hot weather. Its patterning and trim fit lets Motus Comp SS move with the body and maximize performance. 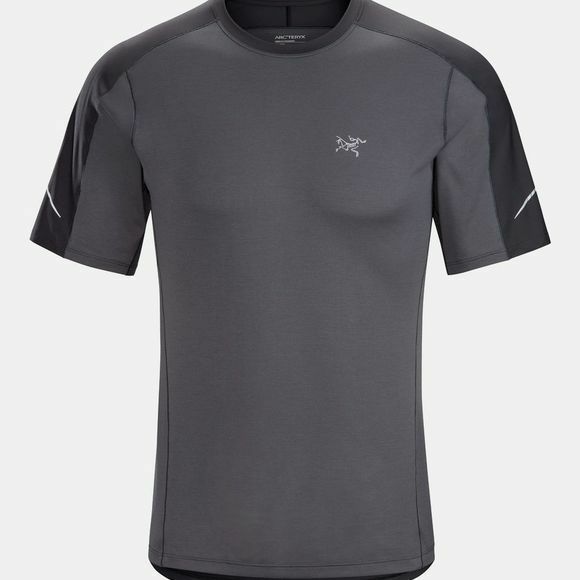 The Reza mesh fabric has excellent breathability and a soft next-to-skin feel. Shoulder panels utilize the Motus Crew Phasic FL fabric to give structure and enhance durability against hydration packs. Seams are minimized to reduce potential irritation, and reflective blades increase visibility in low light.